Washington’s stars came up biggest when it mattered the most. Bradley Beal led the way for the Wizards with 39 points (17 coming in the fourth quarter) as the Wizards beat the red-hot Chicago Bulls, 114-110. 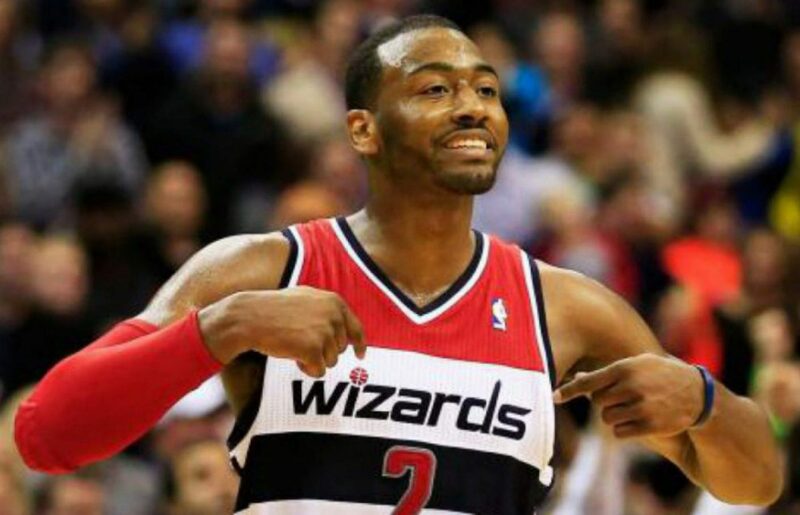 John Wall added 21 points and nine assists as Washington claws out a win against an ever so tricky, sub .500 team. The Bulls took the lead early on in the first quarter and led for most of the game. Credit the Bulls, whenever the Wizards made a run to trim the lead, Chicago had an answer, most of the time. With 9 seconds remaining and the game tied at 110; Bradley Beal had a chance to ice the contest with two free throws. Unfortunately, Beal’s free throw shooting struggles continued as he rimmed both of them out. There was an all out scramble for the loose ball which ended up in the hands of Kelly Oubre who quickly passed it to John Wall who got fouled. John Wall would knock down two free throws to ice the game as the Wizards hold on for a 114-110 victory. Beal had 15 points through the first 24 minutes, but Brad really started to shine in the fourth quarter when the Wizards needed him most. Beal scored 17 points in the fourth quarter including 15 straight for the Wizards as they scrapped out the victory. another three-pointer to tie the game at 104, and another three to give the Wizards a 107-106 lead late in the fourth quarter. The soon to be All-Star was near perfect tonight as he finished with 39 points, 9 rebounds, and 9 assists. His only hiccup was missing two late free-throws which could have iced the game. Things haven’t quite clicked 100 percent for Wall but it’s clear, this team is at its best when Wall is getting out in transition and looking to set up others. Wall ended the night with nine assists but once again, his shooting struggled as he was just 6-20 from the field. Things opened up for the Wizards when Wall pushed the ball for Washington that ended in some easy baskets. Wall was also terrific on the defensive end as he recorded four blocks and came up with a steal late resulting in a layup and a foul on the other end. Wall also had a clutch layup and the foul with 29 seconds remaining to put the Wizards up for good. Outside of Oubre and Scott, the Wizards bench was nowhere to be found tonight. The duo combined for 29 points on 11-17 shooting and went 5-9 from three-point range. After missing Friday night’s game due to the birth of his child, Scott showed no rust as he hit his first six shots tonight as well as a baseline jumper as Washington regained the lead 94-93 for the first time since the first quarter. Aside from a questionable pass in transition midway through the fourth quarter, Kelly Oubre provided some nice energy off the bench with 12 points and came up with the loose ball off of Beal’s missed free-throws with just seconds to play. Up Next: The Wizards have two days off before they take on the New York Knicks on Wednesday.